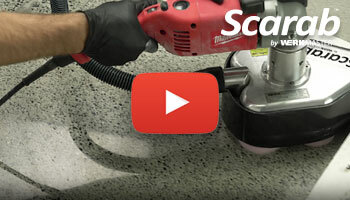 Using the WerkMaster Scarab this Step by step video demonstrates the complete concrete floor polishing and finishing process using WerkMaster diamond abrasive tooling, WerkMaster ULTRAhard Lithium Concrete Densifier (Hardener) and ULTRAguard Floor Sealer. 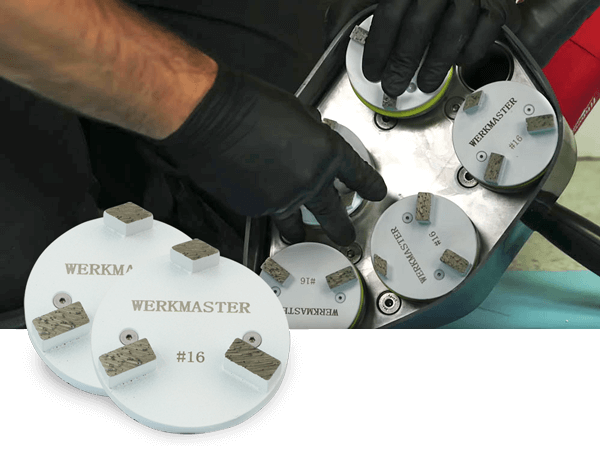 You will need to determine concrete hardness with a MOHS Concrete Hardness Tester in order to select the correct metal bond diamond abrasives. Start with the highest number tip(9) and continue to scratch the surface with the descending tips until the tip stops scratching the floor. When the tip no longer scratches the floor, you have reached the hardness level of the concrete. 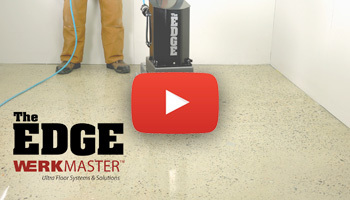 Test at least 3 areas of the floor to get average test rating. 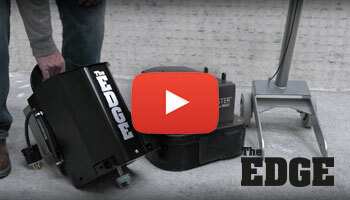 Use the Machine Specific Tooling Guide to select the correct tooling bond. 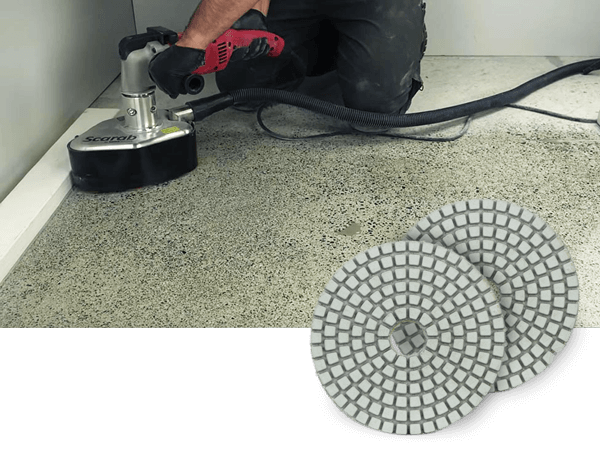 If the floor is coated, determine type of coating and remove with appropriate tooling. 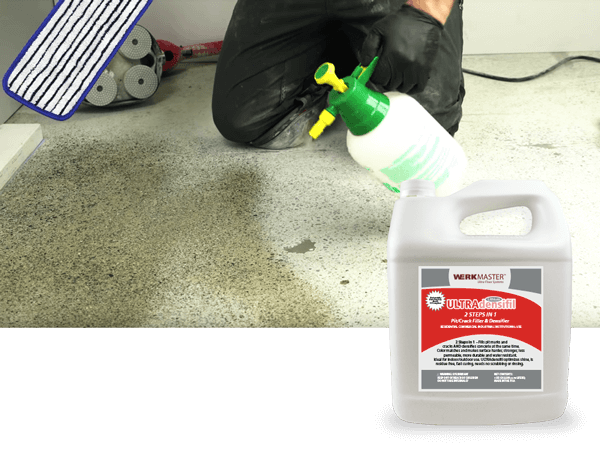 Repair and fill any surface holes or cracks. 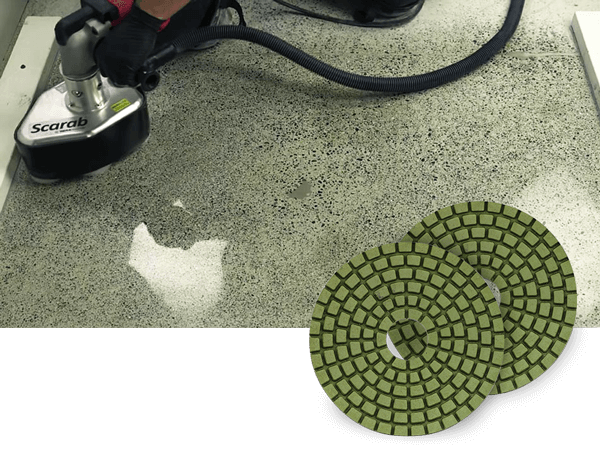 Grind with either 16, 30/40, 70/80 grit metal bond tooling to achieve desired exposure and floor flatness. TIP: Start with highest grit where possible and move to lower grit when necessary. 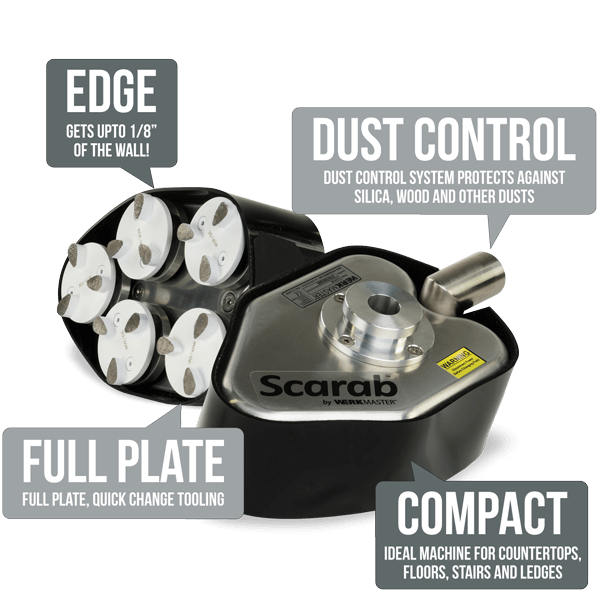 Ensure your floor has been vacuumed and all tool marks have been removed. 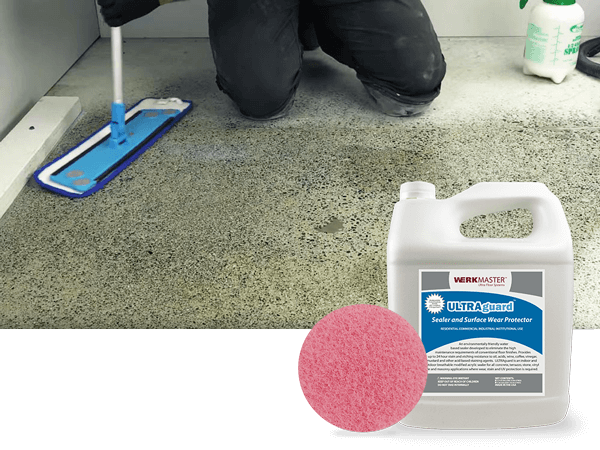 Use either ULTRAHard Lithium or ULTRADensifil (Pore & Crack Filler) densifiers to the concrete to help solidify and densify the surface and to provide extra protection from water penetration and staining. To learn more, see our densifiers page. TIP: DO NOT let densifiers pool or puddle on your floor. 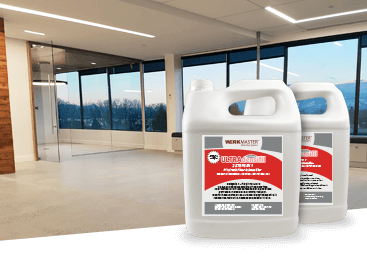 This can create staining that is difficult to remove in the polishing stages. 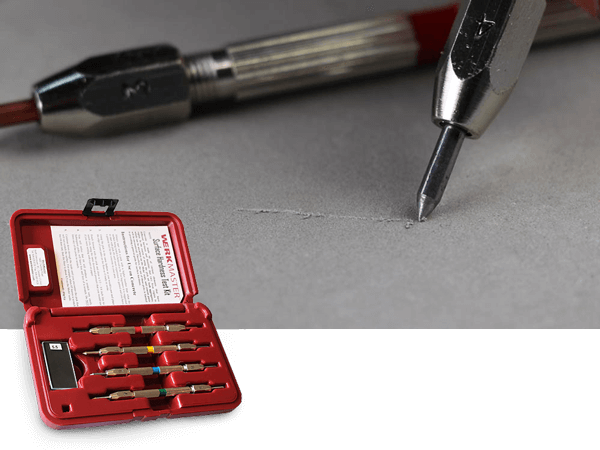 Begin with appropriate resin bond tooling 200, 400, 800, 1500, 3000 grit (3000 grit optional). Ensure dust is removed(vacuumed) in between passes. Burnish floor with 3000 grit burnishing pad after your final grit level. 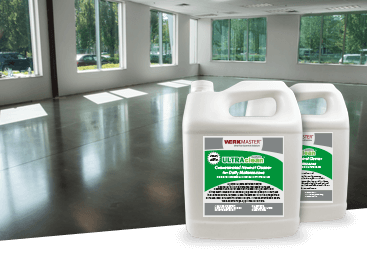 Stain Resistant Sealer/Wear Protector for Concrete, Terrazzo, & VCT Tile floors, walls and other solid surfaces. Designed to be applied to surfaces to make them harder, stronger, less permeable, more durable and water resistant. 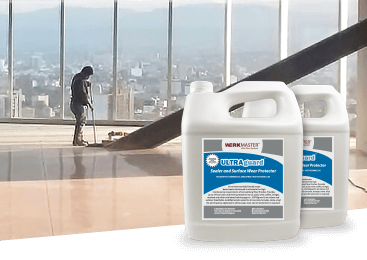 Concrete cleaners and restorers remove a wide variety of common stains and soiling from the oldest, dirtiest concrete floors.